Learners of the Japanese language and foreigners learning Japanese calligraphy but who are non-native readers of the language have much in common and a common need. 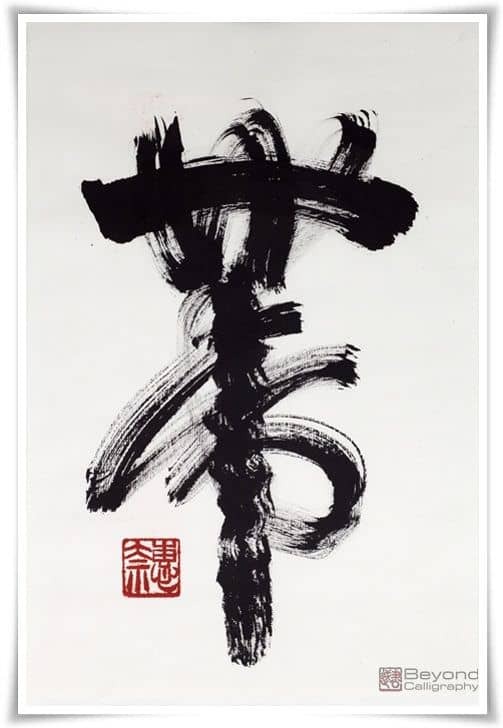 Foreigners wishing to study Japanese calligraphy have many bridges to cross, coming from a place of never having learned to read nor to write Kanji or characters of Chinese origin. Students of Japanese share this problem, particularly if they use the roman alphabet. The language learners, unlike calligraphers, are not writing with a brush but rather using the computer or pencils, yet the challenges remain similar. 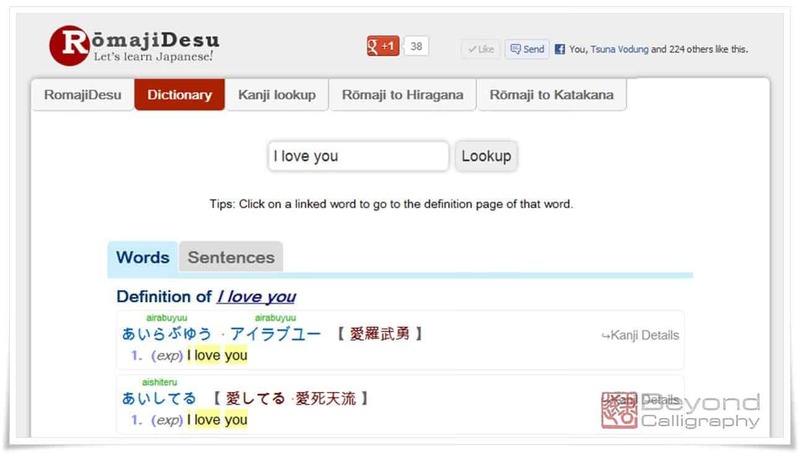 A new online Japanese dictionary has come to the rescue offering a multitude of new ways of learning and streamlining the process visually and textually for learners of Japanese. Additionally, and of particular interest to Beyond Calligraphy, is that the new dictionary offers a way for non Asian calligraphers to explore and develop their own work, writing their own words and poetry without either having been born Japanese or spending years and years studying formally the Japanese language, for most an impractical even if desired endeavor. 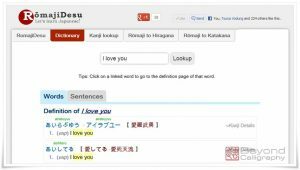 I’ve recently been developing a new online Japanese dictionary for Japanese learners at romajidesu.com. Why bother creating a new dictionary when there are already good ones out there, you may ask. This article aims to try to answer that question. I am a Lecturer in meteorology at Hanoi University of Science, Vietnam. However, website programming and foreign languages have been my hobbies for many years. I coded my first website for my high school class 10 years ago and since then, I have been fascinated creating tools and websites that interest me. Additionally, I have been interested in Chinese characters since I was a kid. In Vietnam, the older generation knows a lot of Chinese characters, our former official writing systems from long ago, and my Father was from that generation. Most Vietnamese names have some sense of meaning that can be written in Chinese characters as well. 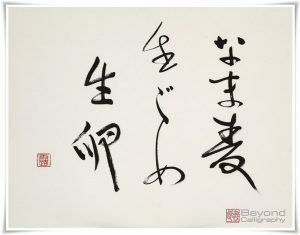 It was not until I first came to Japan in 2011 that I become fully fascinated with Chinese characters, now known as Kanji. I fell in love with Japanese culture, its songs, its people, and of course, the Japanese language. 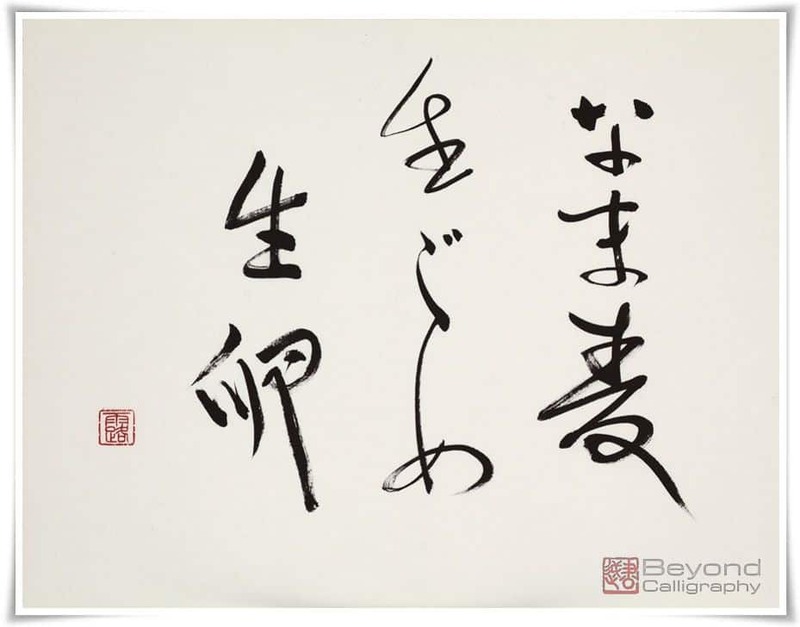 This website can be considered to be dedicated to my Japanese colleagues and friends and also a tribute to my love of Chinese characters/Kanji. Developing romajidesu has always been a happy experience for me because all I need to do is to follow my hobbies. The chosen name for the dictionary, RomajiDesu, is a pun. RomajiDesu (ローマ字です) means “These are romaji (roman characters),” in Japanese. The name simply reflects the fact that the website’s domain name is written in Roman characters, not Hiragana, Katakana, or Kanji, the three official writing systems used in Japanese. Thus, the name is like the simplest sentence in Japanese, and RomajiDesu aims to provide Japanese learners some easy to use methods to assist in their learning. Initially, the inspiration for creating RomajiDesu came from Japanese songs, especially beautiful songs like “Yuki no Hana” (雪の華, Snow flower), or “Ue o Muite Arukō” (上を向いて歩こう, aka. Sukiyaki), etc., songs that made me sing along. Once I knew by heart the lyrics (romaji) of some of those songs, I started to wonder about the meaning of their lyrics. The website began about six months ago when I started a Japanese language course. At first it was very difficult for me to remember all of the Hiragana and Katakana alphabet, so I created a tool to help me convert romaji to either one of those or the other. (Figure 2) The website was very simple at first, but it got bigger and bigger as I gained more knowledge in Japanese. At the moment, RomajiDesu (version 2.0) contains approximately 165,000 word definitions, 150,000 example sentences and 13,000 Kanji in its database. While it would be hard to say that RomajiDesu is a better online dictionary than those which already exist, it certainly has some different features. 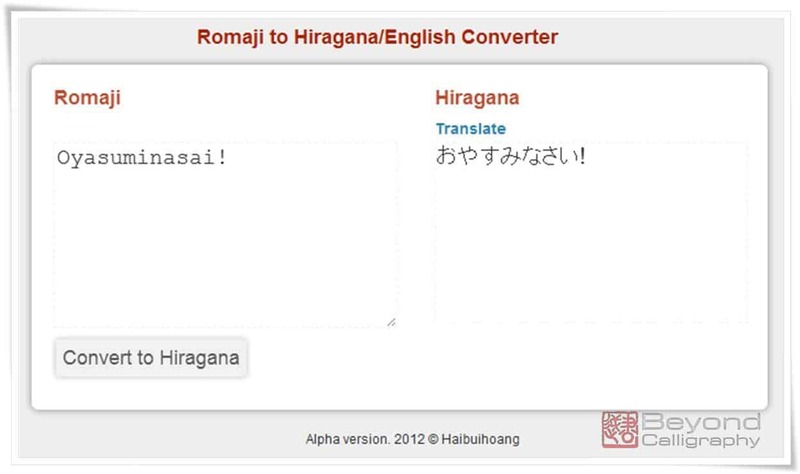 Besides the early developed Romaji to Hiragana/Katakana converters, the main functionalities of RomajiDesu include a normal Japanese dictionary and a Kanji dictionary. Since the number of these related words and sentences may be too much to display all at once, you can load them one page at a time without having to reload the whole website. That saves considerable user search time and thus improves the total performance of RomajiDesu. Whenever a new word is searched, the resulting data will be cached for future reference, and thus, over time, the speed of the website may even be faster. 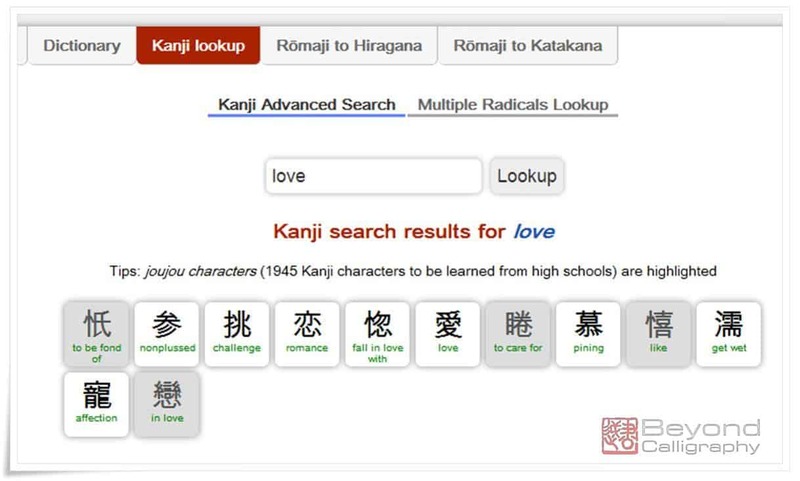 If the number of matched Kanji is large, the result page will appear as a list of tiled (squares) Kanji. For users to find the Kanji they need, each Kanji in the list contains a sample in English giving the sense of the meaning. Please note however, that one Kanji may have many meanings. 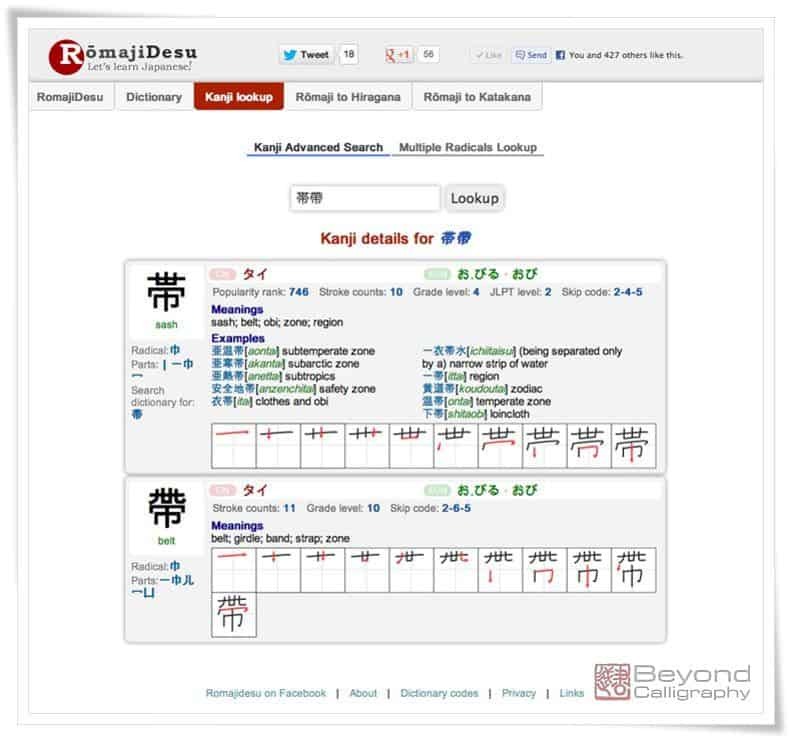 If the number of matched Kanji is small, the result page will show a list of detailed Kanji information (Fig. 9). For the detailed display, a Kanji is packed with much useful information: on- and kun-reading, English meanings, some example Japanese words, the main radical and its components, and a nicely drawn Kanji stroke order diagram in free hand style if possible. There are approximately 6400 such diagrams which is, of course, more than enough to cover all of the popular Kanji. In short, RomajiDesu is developed by and for Japanese learners like myself, and it aims at developing simple but powerful methods for looking up Japanese words, phrases and Kanji. There is other information which is available in some other online dictionaries, such as dictionary indices and glossaries in other languages. I decided not to include that information because, in my opinion, most Japanese learners don’t need that information, and it decreases and confuses, taking away the ability to focus on the essential. If you have been using RomajiDesu from its beginning stages, you will have noticed that it has developed through several major updates. After each stage, the previous functionality was polished and new features were added. I usually think about what I actually need to do before I start coding new features. 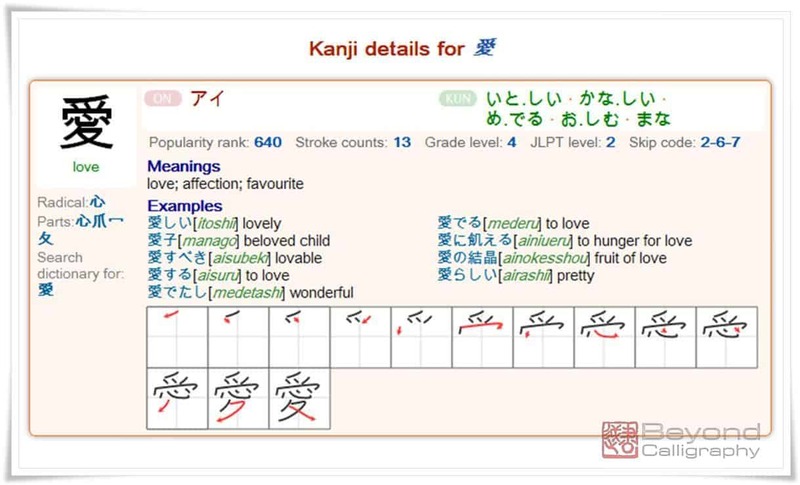 Knowing that remembering Kanji is still a difficult task for me, the next thing I want to do is to add some features that will enable people to study Kanji while having some fun. And since sometimes I access the website via my phone, a mobile version of RomajiDesu will be developed as well. And last but not least, I would be very appreciative if you would let me know what you need in the new version, and I will try to implement it. Bui Hoang Hai is a Lecturer in meteorology at Hanoi University of Science, Vietnam. However, website programming and foreign languages is his hobbies for many years.